Newcastle trainer Kris Lees has the favourites in three upcoming Group One races for three-year-olds. Kris Lees -trained stablemates Smart Melody and Miss Fabulass have emerged from midweek wins to favouritism for separate Group One fillies' races. Unbeaten in four starts, Smart Melody will step up from the 5 1⁄2 f of Saturday's race to 7 f in the Thousand Guineas Prelude. The Newcastle trainer is also looking at all options for established Group One performer Le Romain . 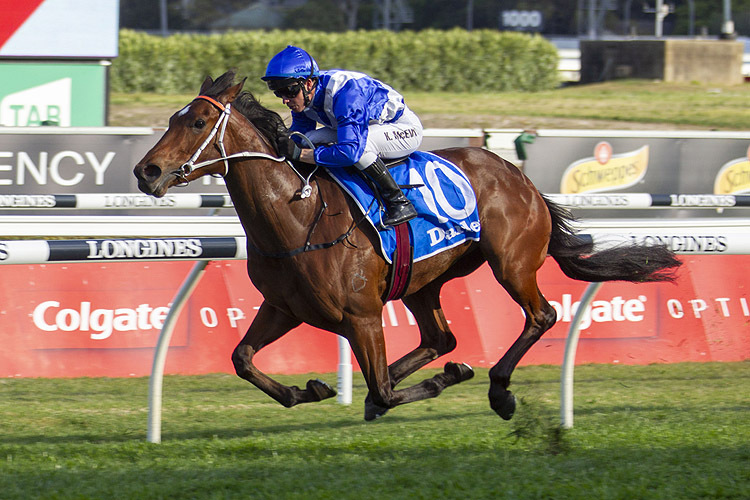 Le Romain is an $11 chance in the Epsom Handicap (1600m) on Sept 29 but with one slot left in the $13 million Everest on October connections could change direction if there is an offer.